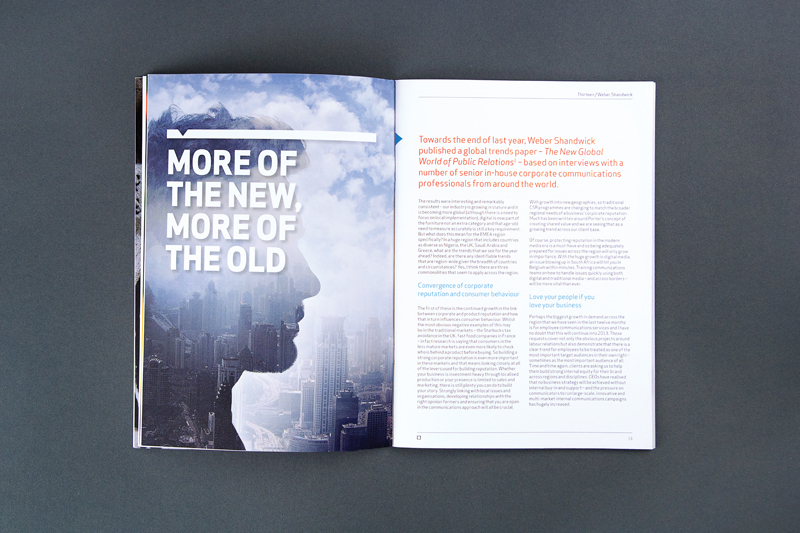 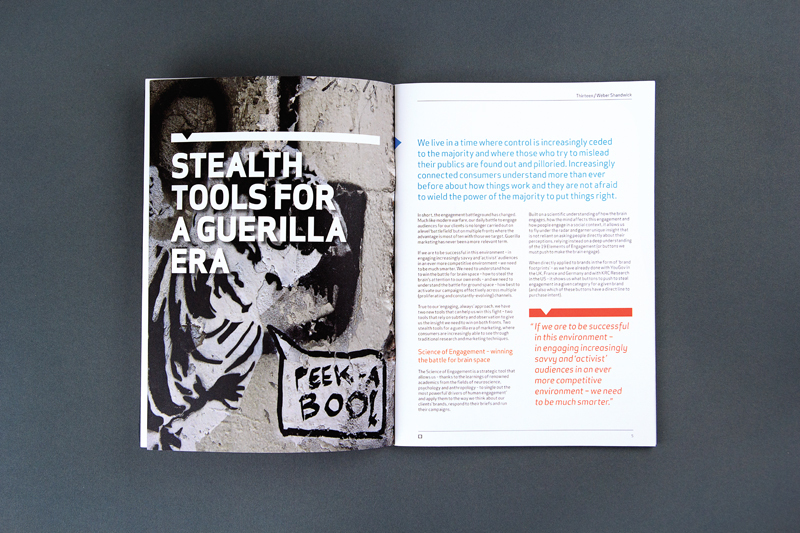 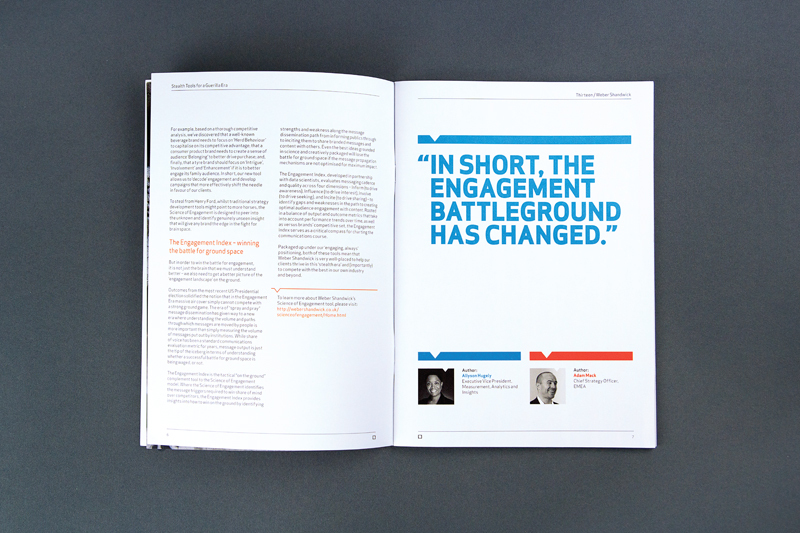 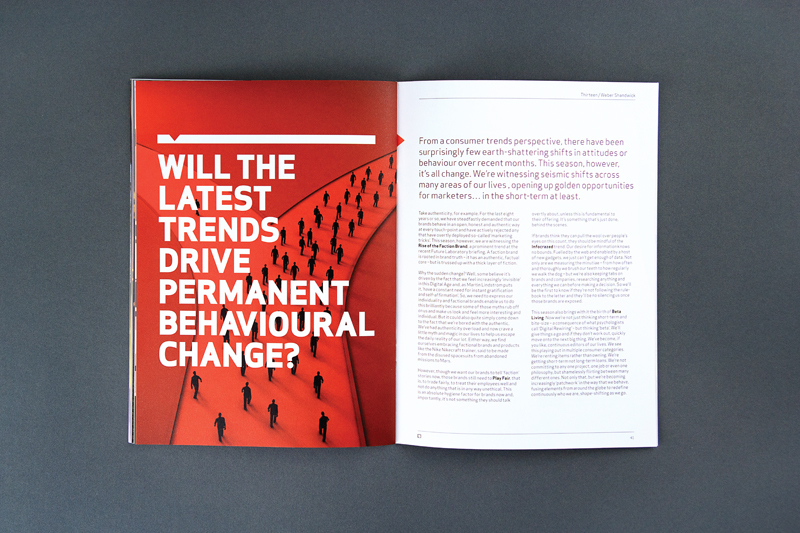 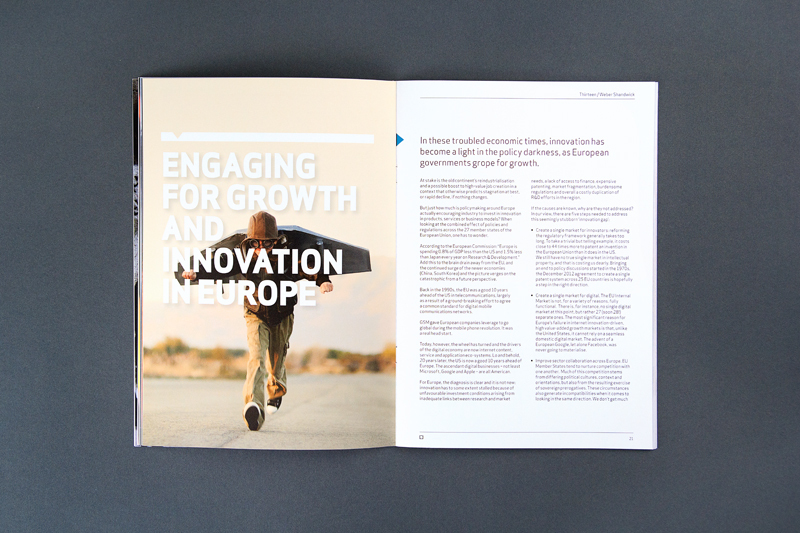 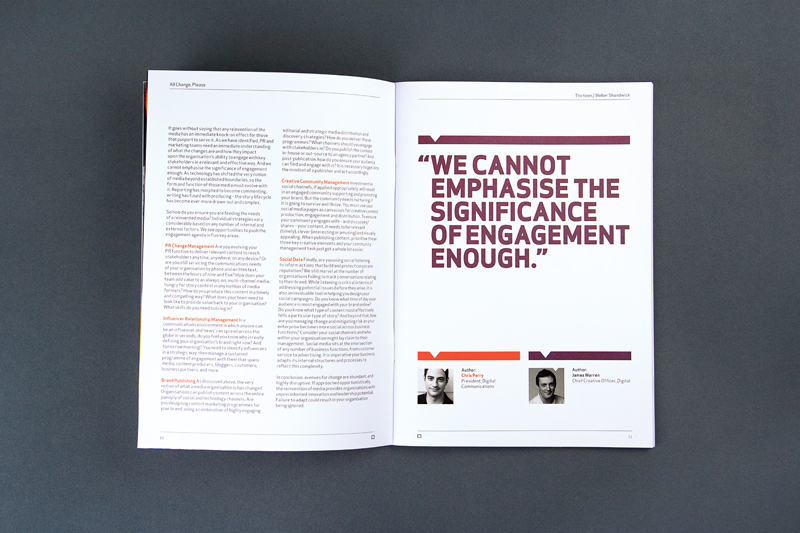 To design an engaging and evocative corporate brochure following the trends and evolution surrounding the PR industry. 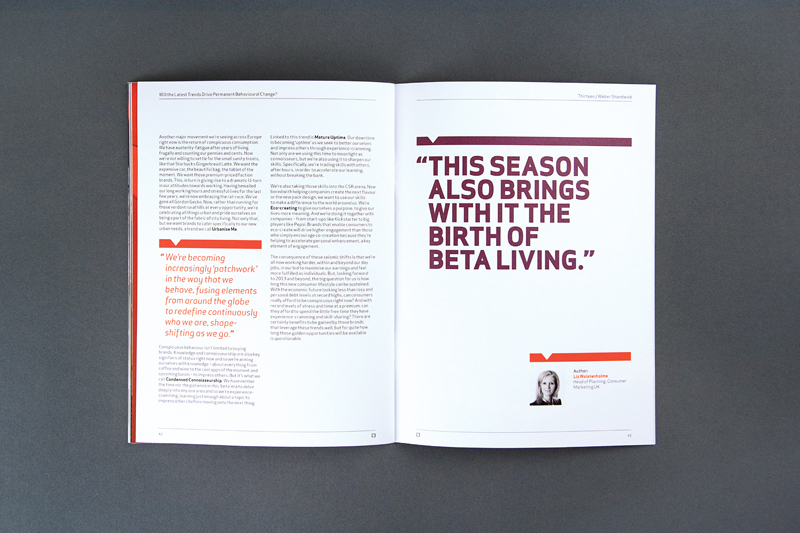 Typographical hierarchy has been implemented within the spreads, focussing on short, yet impactful statements to entice the reader. 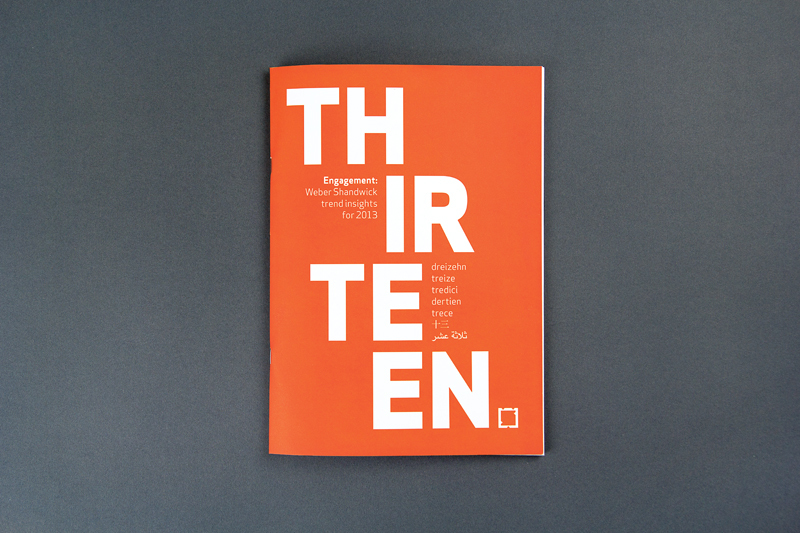 This is reflected in the minimal, bold design of the cover.